Today, The first and second session were addressed by Mr. Arun Lohani and Mrs. Anjana, from Narayana institute. They told us aboit various career opportunities and different emerging fields in which we can get a job. They asked students some questions based on reasoning. They also descibed various scholarship exams for which students of our age are eligible. The third session was addressed by Jyotika Mam on the topic interpersonal relationships .She told us about how to develop public and professional relations. She also told us about the importance of understanding each other in all types of relations. She described various types of relationships to us. She also told us how we can maintain good and healthy relations with our parents, friends, peers and also in professional life. "Language is the blood of the soul into which thoughts run and out of which they grow." - Oliver Wendell Holmes Sr.
Today, The first session was addressed by Mr.R.R.Yadav, from DMRC on the importance of ''Rajbhasha hindi". He explained very beautifully the importance of our mother tongue hindi . He explained to us the vast potential of the language .He also explained about the vast amount of job opportunities in the language . He also explained us how we can get success in our lives if we work hard. We all listened to his words carefully and the session was a very interesting one. The speech by R R yadav sir made us all realise the glory of our mother tongue. 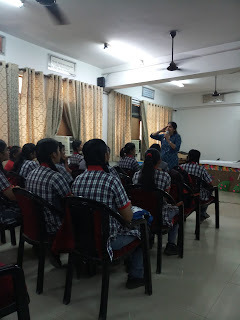 The second session was conducted by Kirti mam on the topic ' Biomolecules' . She explained various biomolecules like carbohydrates, protein, nucleic acid , lipids and amino acids. 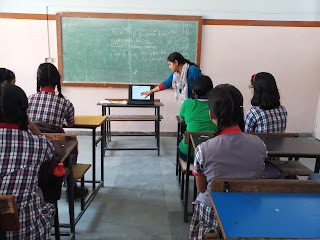 The first session on English grammar was conducted by Mrs Anusua( PGT, english) in Tarunotsav. She explained us rules followed in English and where we commonly make mistakes. We also did a group activityin which we were divided in four groups . We all did the activity with enthusiasm. Then, two dance sessions were conducted by Ms Agnibina ( PGT, physics) and Ms Jyotika (Counsellor) to prepare group dance on Indian folks.The sessions were very interesting and all of us danced together.It promoted the spirit of working together. 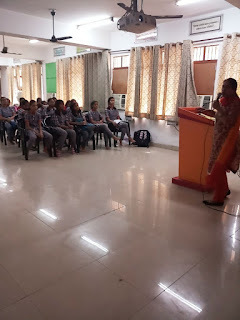 Then a session on chemistry was taken by Mrs Kirti Tandon(PGT, chemistry) .She explained us various topics covered under the three branches of chemistry i.e inorganic, organic and physical.she also told us about use of chemistry in day today life. 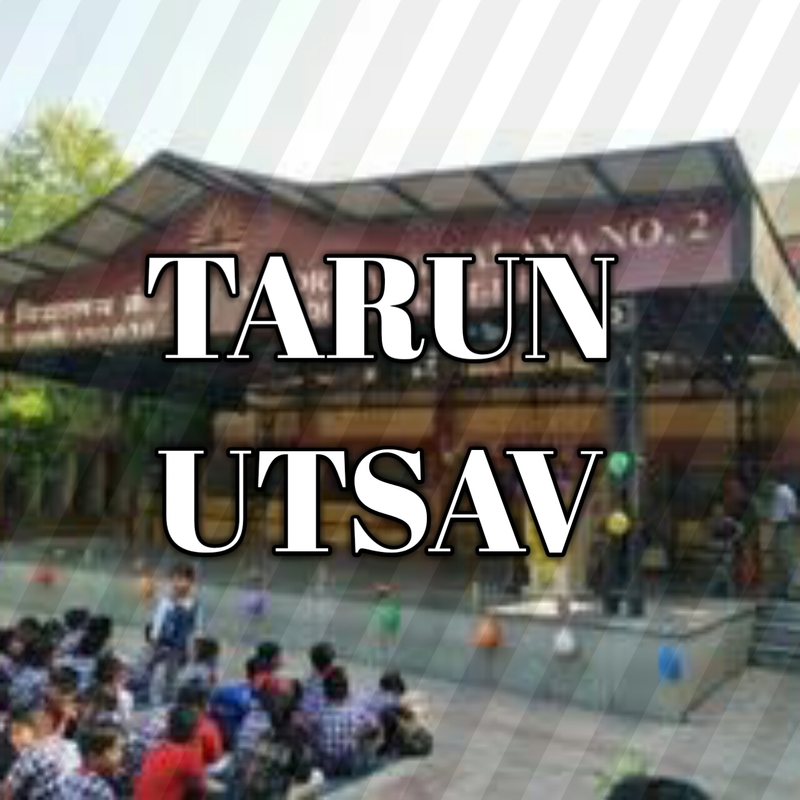 16th April 2018 Today was the 4th day of Tarun Utsav the students are very excited about the day and different activities. 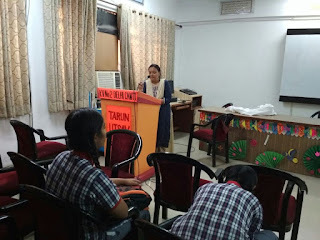 Mrs Kirti Tandon (PGT ,chemistry) welcomed the students and addressed the first session of the day in which she distributed the students among 2 groups for conducting the science quiz where mam asked the questions based on science and the quiz was to interesting and students were enjoying it fully and finally the team A was the winner for the day. The second session was addressed by Japan mam (hospitality). She told us about the SWOT analysis in which she explain us that S stands for strength, W stands for weakness ,O stands for objective and lastly T stands for threats. Now we had to fill our strengths, weakness, objectives,and threats. In short this activity made us realise our likes and dislikes and finally we came to know actually WHO I AM? for myself. It was the third day of Tarun utsav. As always it was a very interesting day and students learnt a lot. 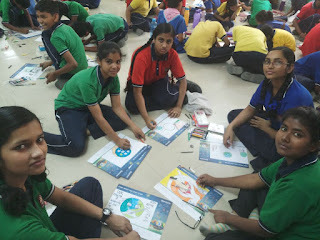 There was a very tension free and a relaxed environment so that students could nurture their sense of thinking and interact more effectively. Students enjoyed interacting and learning with all the teachers who came to council us. 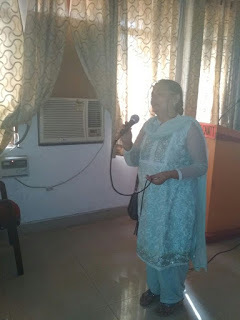 First of all like everytime Mrs. Jyotika Singh man (councillor) councelled students excellently. She also showed us a power point presentation on ENGINEERING. 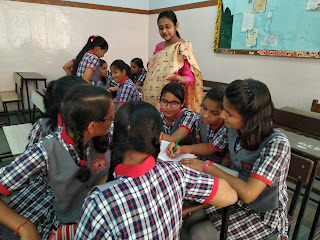 She told us about the different fields of engineering like Civil engineering, Environmental engineering, Agriculture engineering and many more . Through that Student's got to know about various informations about field of engineering. 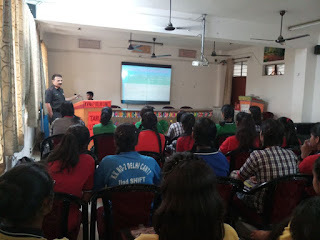 The 2nd day of the 20 day long program was celebrated with great enthusiasm and with a keen interest for learning. First of all, Kirti mam( PGT, chemistry), Incharge of the Utsav addressed us and welcomed us to the second day of the Utsav. Then we all were asked about the fields that interest us and the activities we would like to takeup, we all, very keenly told her about the activities we would like to take up. The activities were wide ranging from academic fields like science and maths to fine arts like painting, dancing ,singing and pottery. Today, KV NO. 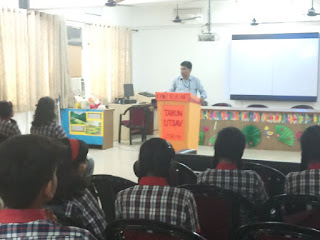 2 DELHI CANTT inaugrated the Tarun utsav for the 10th appeared students. Today was the inauguration ceremony of the event. The event commenced with the lamp lighting by Bharti kukkal mam principal KV NO. 2 DELHI CANTT. with other respected teachers. 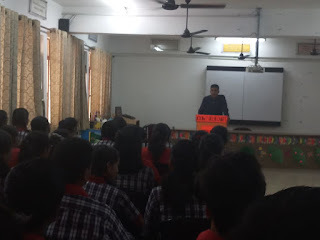 Then, Mr.s Kirti Tandon mam (PGT, CHEM) invited principal mam to address the students present over there. 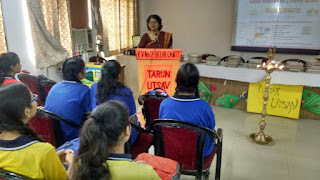 Then principal mam came upon the podium and describe us the Mai objective of the event and told the students that beside the academics the tarun utsav giving opportunities to students to understand their own ability. And wishes all the students and teachers for the success of the programme with great spirit .